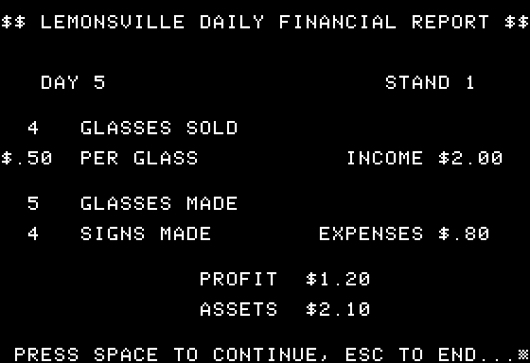 My time in the elementary school computer lab on an Apple II GS was spent playing Oregon Trail, Number Munchers and Lemonade Stand. And, although they all enriched me, I would say the latter had the greatest influence on my life. I learned very early on in life that selling a product wasn't the full story to running a business. Success was dependent on a confluence of operations, finance, marketing and luck. Decades later, during my MBA program, I had to participate in a grand-scale version of Lemonade Stand. It involved taking a struggling shoe company and competing against several other teams on a global scale. My team won and, deep down, I know I have Lemonade Stand to thank for helping me learn how to assess a business from a holistic perspective nearly 30 years ago. I was one of those kids who had a Sega Master System instead of a Nintendo. 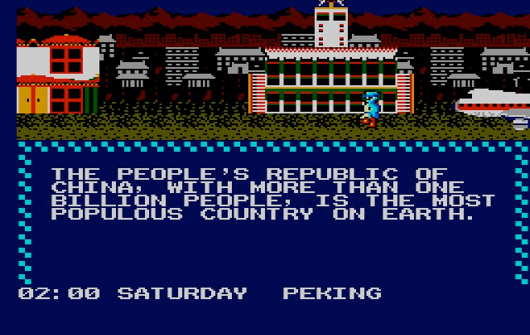 To make matters even weirder, one of the games I played most often was Where in the World is Carmen Sandiego? An edutainment game about hunting down thieves, using clues about famous landmarks and the colors of flags to figure out where the culprits were hiding. Eventually, I'd move on to Where in Time is Carmen Sandiego?, but that would be way later when I got my first PC, which was a Compaq 386. Conceptually, Carmen Sandiego was something different to me from the other games I was playing, which were mostly pattern recognition and utilized twitch skills. Here was a game where I actually had to learn and research the answers using an outside source. Not that easy in a pre-internet era. There may have been games like Civilization before Civilization, but I couldn't tell you what they were. I'm still not entirely sure why the Babbages associate would recommend this game to an 11-year-old, but after an initially overwhelming experience trying to process this new genre being thrown at me, I began my love affair with accessible strategy games. 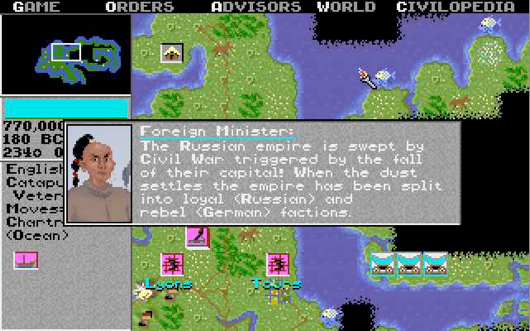 It was also the game that got me to purchase my first strategy guide, which was Civilization or Rome on 640K a Day (1992), which I must have read cover to cover several times to grasp every facet of the game. A master class in immersion and production values. I can only hope one day I create something that captures someone's imagination the way that Alpha Centauri still holds mine. I love politics and sci-fi. I'm a huge fan of the sociopolitical intrigue and (both mystical and mathematical) religious justifications of Frank Herbert's Dune series. Alpha Centauri touches many of those triggers with characters whose ideological motivations, coupled with their carefully crafted portraits and quotes, create a rich setting for a strategy game. These were fully-formed characters in a 4x strategy game fashioned through something as passive as quotations and AI actions. 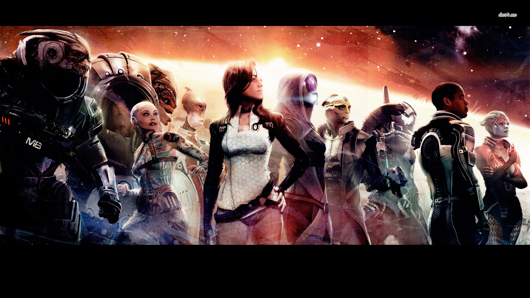 I've said it many times, but I may as well say it one more time for posterity: I have never cared for a group of characters the way I have for the crew of the Normandy in Mass Effect 2. Character interaction and development have been essential to the core experience of a BioWare game, but never had we been confronted with the impact of that in a clearer way than Mass Effect 2's finale. A suicide mission where the crew you've supported and built is given one final test of skill. It's an all-hands situation where actions, both present and prior, have severe consequences. A great lesson about caring and supporting your team in the face of impossible odds. Something I think we can all appreciate.